Are at a higher risk for injury. Experience greater stress on their joints and the muscles surrounding them. May suffer from any number of ailments including low back pain, chronic neck tension/pain, headaches, rotator cuff problems, pain in the mid to upper spine, and knee or hamstring strain. Have better alignment, which translates into less injury. Have better balance, dexterity and overall physical performance. Maintaining good posture is so important to our bodies. It keeps our muscles in balance and our bodies properly aligned. This contributes to the health of all of our body’s systems. Poor posture places abnormal amounts of weight on our joints, and adds stress to our muscles and tendons. In addition, if our posture is misaligned, we can’t support our internal organs efficiently, our circulation is hindered and we are more prone to disease and dysfunction. All of these elements can add up to discomfort or chronic pain. Other than severe injury or trauma, the most common of mild discomfort or chronic pain is in the neck, shoulders and back. In most cases, this can be attributed to poor posture, specifically from holding your head forward. Ideally you should be able to draw a straight line up from your ankle bone, then midway through your hip, shoulder and ear. If your posture is not up to snuff, you’ll find that your belly may protrude, you might see curves in the spine, and that your head leans forward. Every inch that your head is forward, equals additional head weight. So, if your head posture is two inches forward from the ideal position, you’re adding two times the weight of your head to your spine. This condition might not bother you at first. The human body is resilient and is able to compensate. However, your condition will worsen over time and can cause more than just a little bit of discomfort. For example, when your head protrudes forward, the angle of the first rib gets depressed inward. This puts pressure on the organs that are protected by the rib cage and can affect your overall health by putting stress on vital organs. You may also develop what is called a Dowagers’ Hump at the point where your neck and spine meet. This is a lump of fatty tissue (a hump) that develops to try to compensate for postural muscles that are not working. Other side-effects of poor posture include poor circulation, inefficient lymphatic drainage, and undue pressure on the spinal cord. How can we correct poor posture? 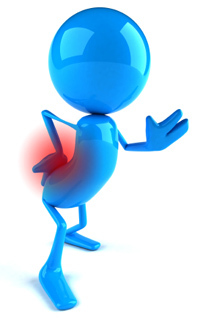 There are many steps to be taken to help to correct your postural problems. 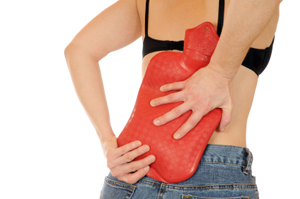 You need to address these issues in order to help your body to run more smoothly. The best way to fix your poor posture is to treat your body as a whole. You should have a postural and orthopaedic analysis to determine which muscles are tight, weak or long. You will need to incorporate specific stretching techniques to work on the tight muscles, and develop a comprehensive exercise program to help stabilize the spine and weak muscles in the body. The best way to help is to be preventative. If you have any sort of discomfort now, it will not correct itself; it will only worsen with time. Gary Jasmin is a certified C.H.E.K. coach, practitioner and trainer. As part of his holistic approach to health and wellness, he offers a comprehensive analysis of your postural problems and can develop a plan to correct them. Click here for more information on posture and corrective conditioning.